It was only a matter of time before Kim Kardashian West became a Vogue cover girl again, and after that now infamous Kimye cover from 2014, Mrs. West goes solo for May 2019. It’s almost hard to believe it has taken Anna Wintour a total of five years to have Kim make a reappearance, but the covers of ELLE, Allure and Harper’s Bazaar Arabia in between have sufficed. 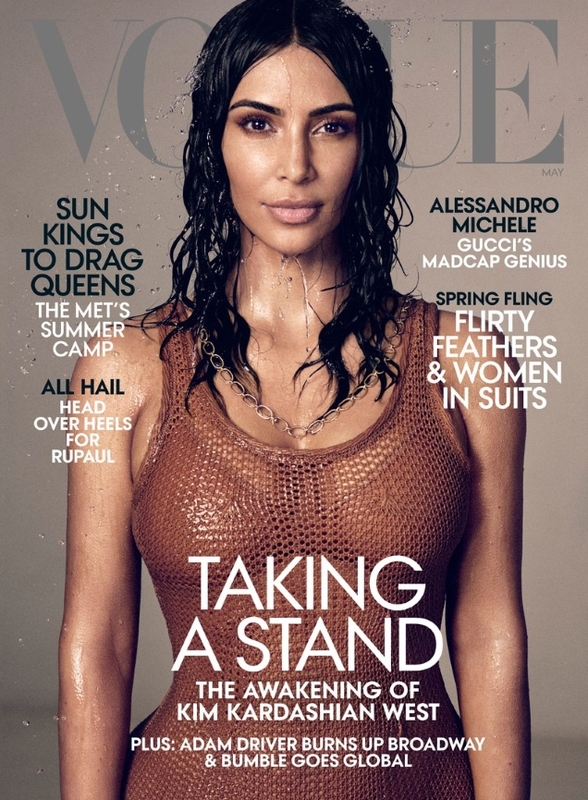 For her solo outing on the American fashion bible, Kim ups the splash factor for Vogue‘s latest, standing drenched in Chanel and sporting wet hair for a not-so-average Vogue cover shot, photographed by Mikael Jansson and styled by Tonne Goodman. The cover rendered our forum members almost speechless — in a good way! “Maybe I need to see a doctor, but I actually like this?” said dontdeadrag. “I’m unashamed to admit that I like the look of this, and at the very least Kim Kardashian makes for a refreshing subject over Lady Gaga or Serena Williams for the umpteenth time (who I might’ve thought would’ve been on the cover with the Met Gala upcoming),” added vogue28. “I love this — clean, simple, minimal. The wet look and styling works really well and I really like Kim on covers,” Blayne266 said. “I love this! Credit where credit is due, regardless of the subject. What I really love about this is the fact that Kim FINALLY got a cover of her own,” applauded MON. “I absolutely LOVE this cover, and I love Kim. Sorry, not sorry. Kudos to Anna for putting her on the cover, over the usual (and tired) suspects. Haters can stay mad,” laughed mepps. In agreement with our forum members? Check out Kim’s cover shoot and join the conversation here.